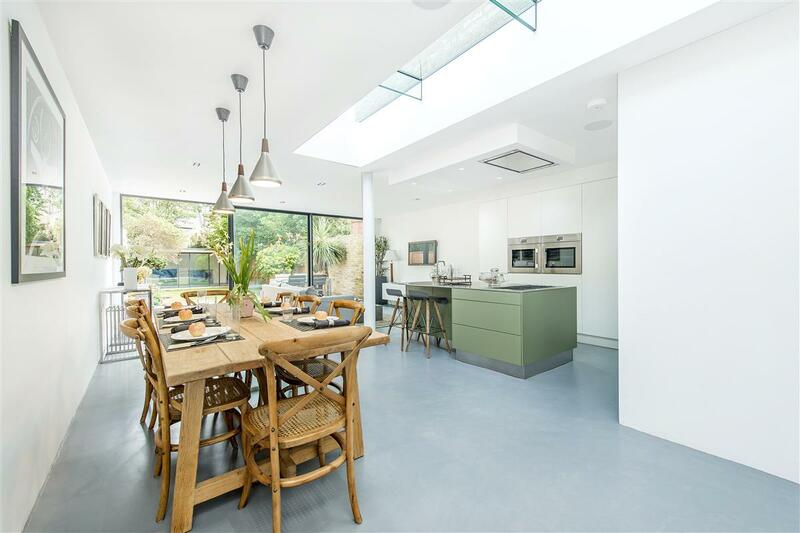 Rarely available, this unique, architecturally designed semi-detached family home by Giles Pike Architects is a phenomenal space incorporating both the traditional aspects of the original house and a modern design to create a fantastically bright, airy and contemporary space. 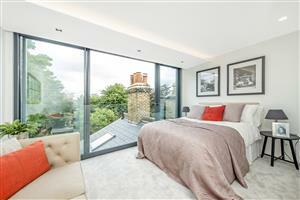 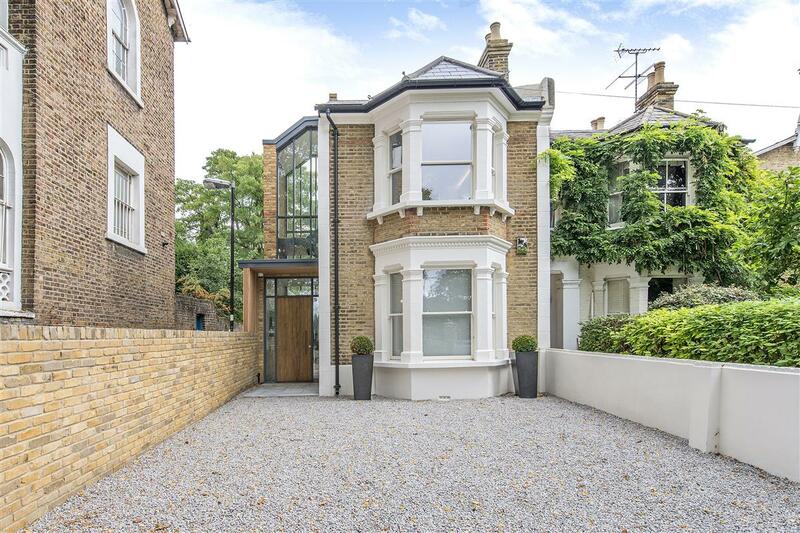 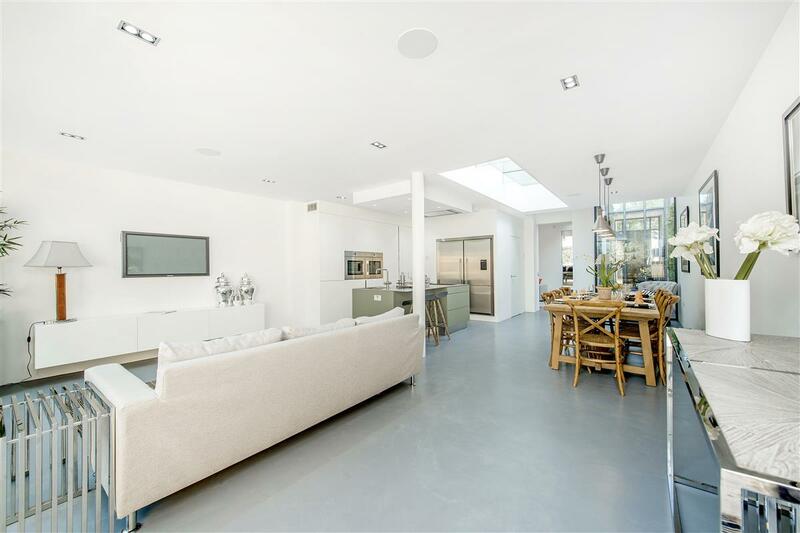 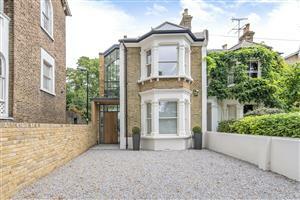 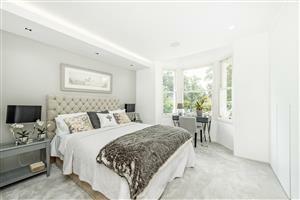 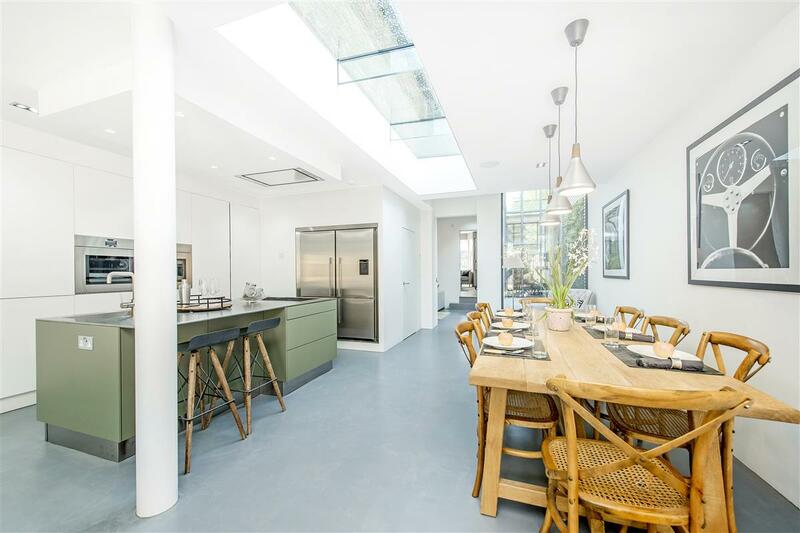 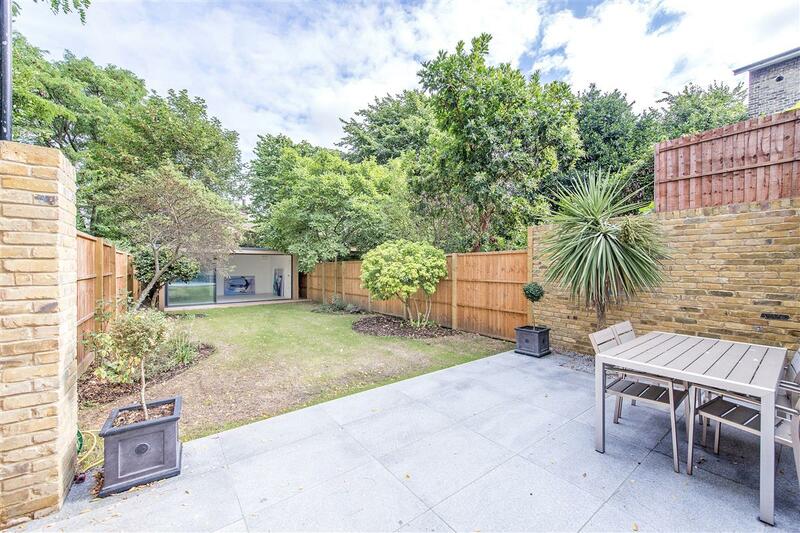 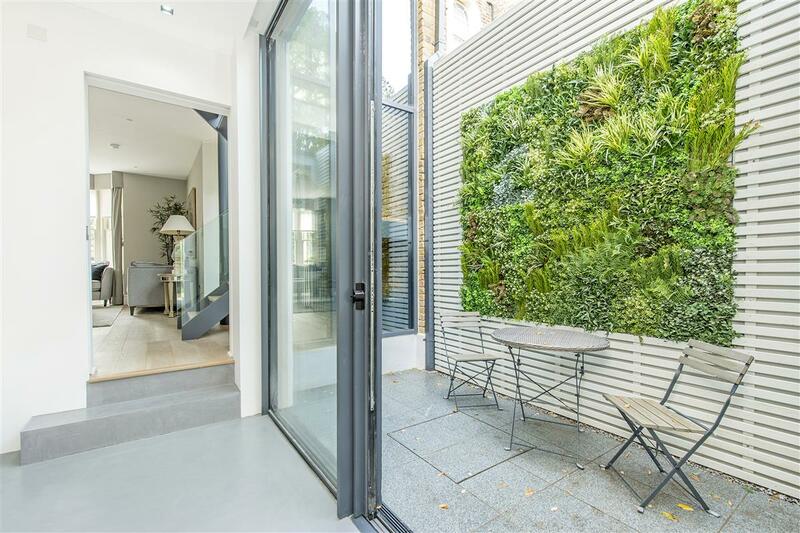 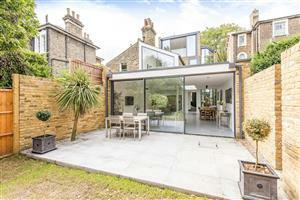 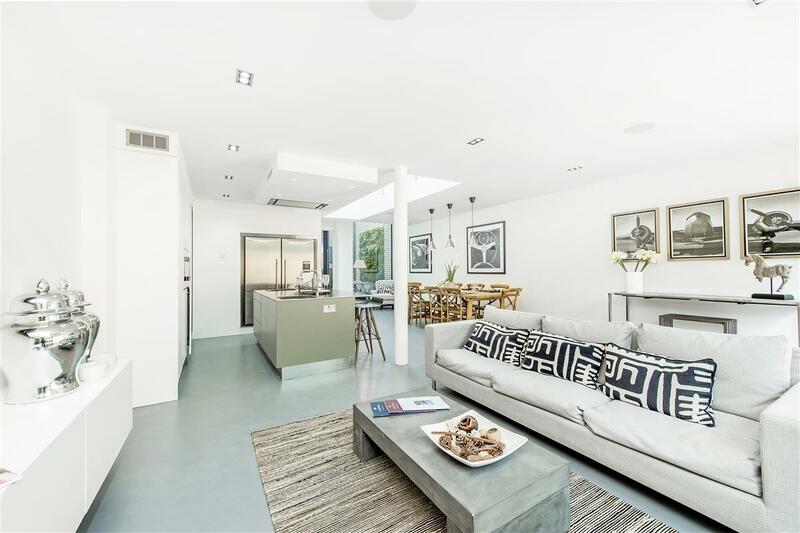 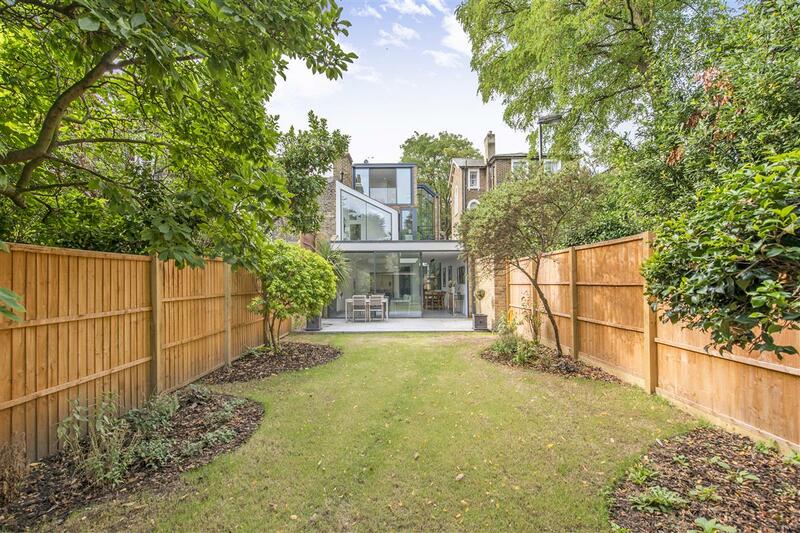 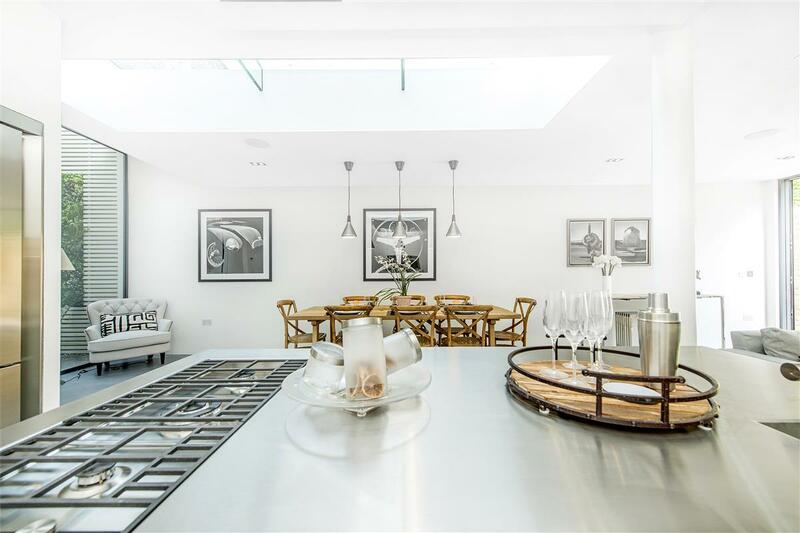 Accessed through secure remote gates leading onto a private drive, with parking for two cars, this house on Wimbledon Park Road is in an immensely popular location between Southfields and Putney. 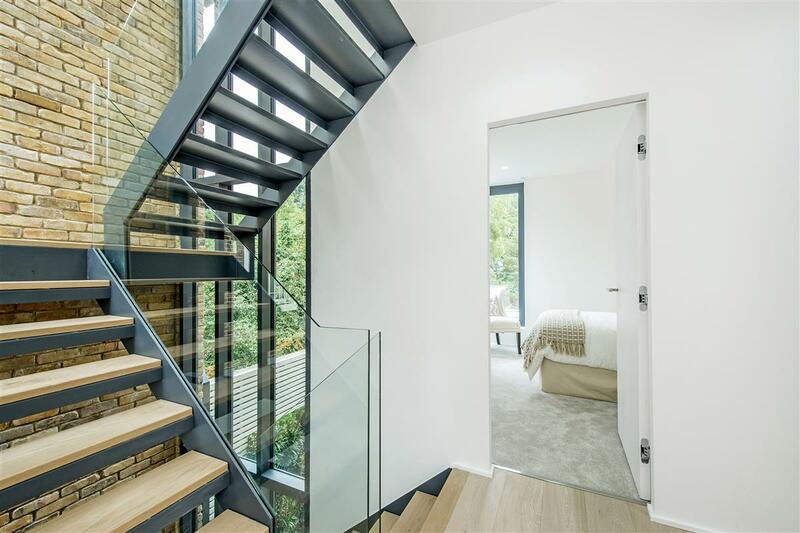 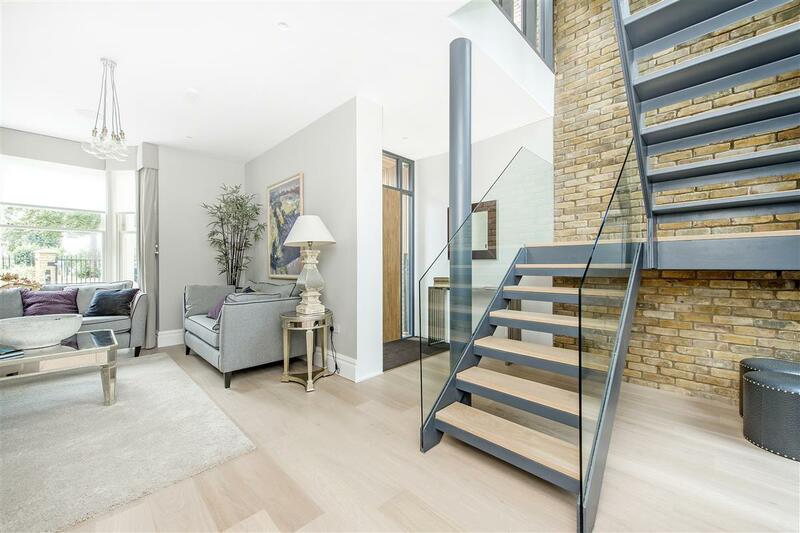 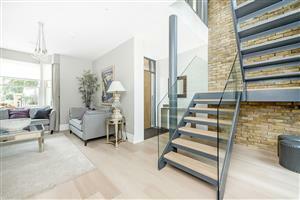 Upon entry, you are immediately drawn to the double-height fully glazed feature stairwell which has an abundance of natural light flooding in. 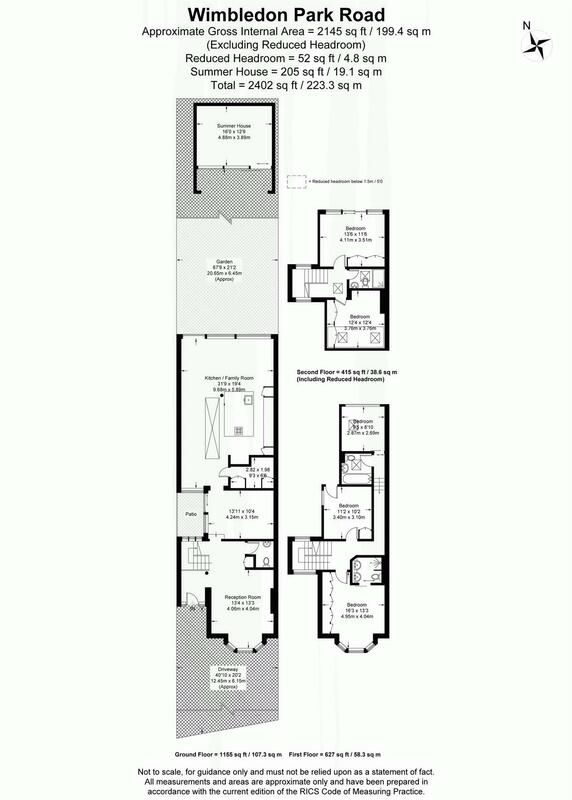 The ground floor boasts a formal reception room, downstairs cloakroom, TV room which looks onto a glazed inner courtyard and utility room. 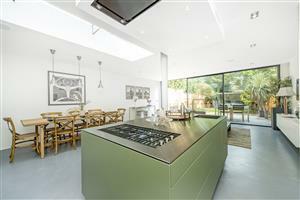 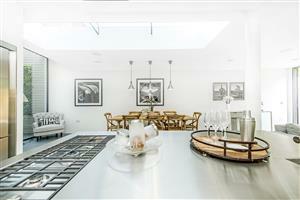 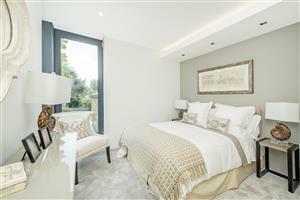 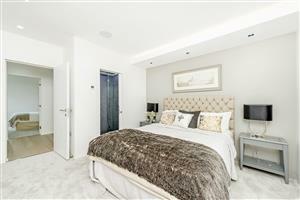 The TV room leads onto an impressive open-plan kitchen/dining/family room which is extremely spacious, light and airy. 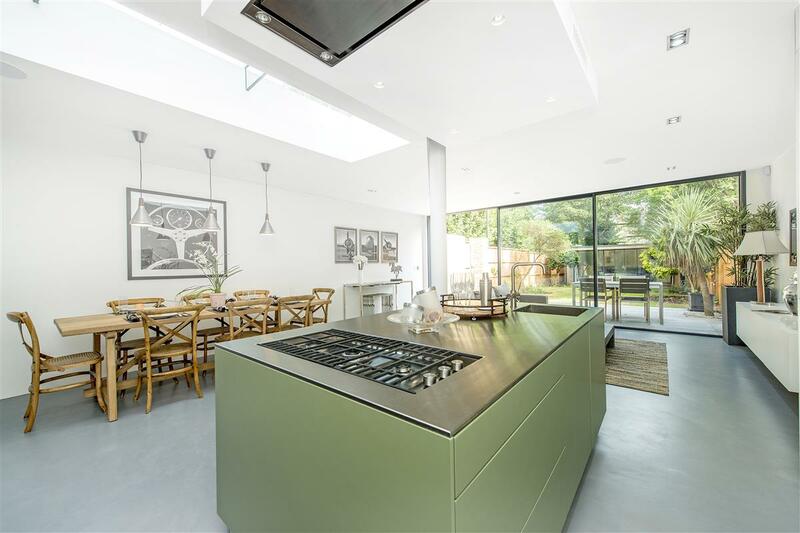 The cleverly designed contemporary kitchen features high end appliances, a central island and excellent storage. 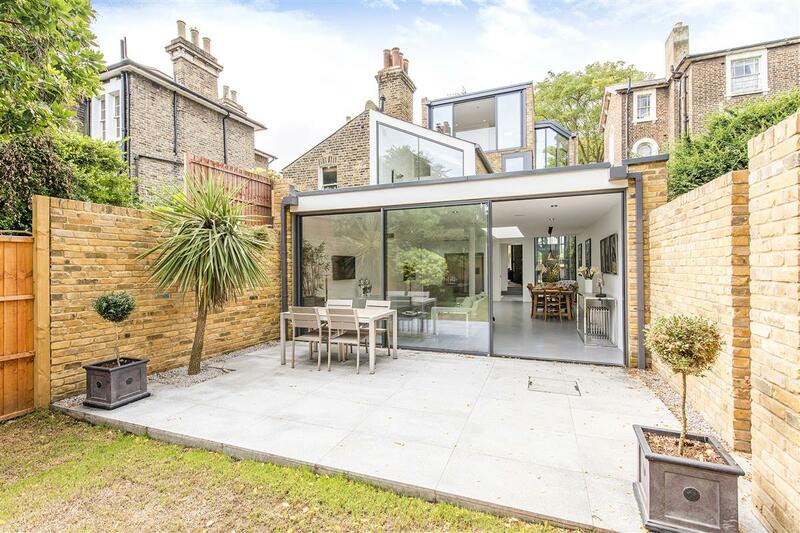 The living space leads through bi-folding doors onto a beautifully landscaped rear garden boasting a large outbuilding which fits beautifully into its leafy setting and could be used as a home office, playroom or summer house. 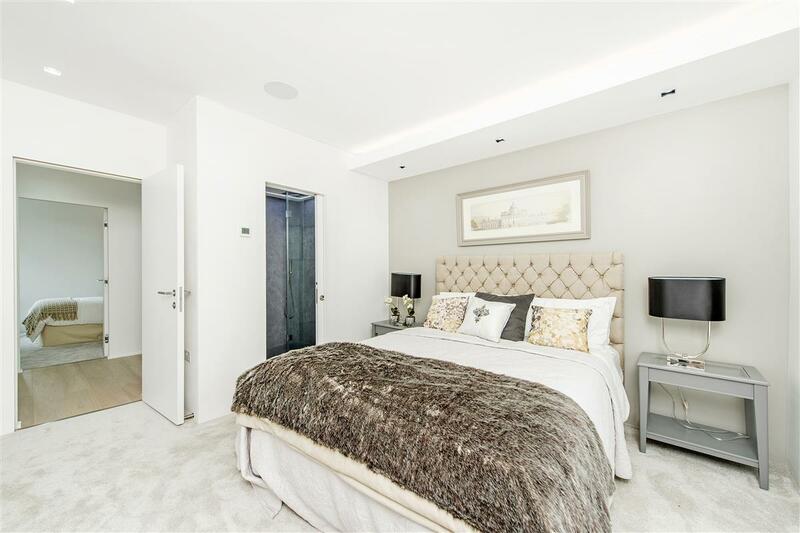 The first floor is home to the luxurious master suite benefitting from an en suite shower room with his ‘n’ hers sinks and ample integrated wardrobes as well as two further double bedrooms serviced by the family bathroom. 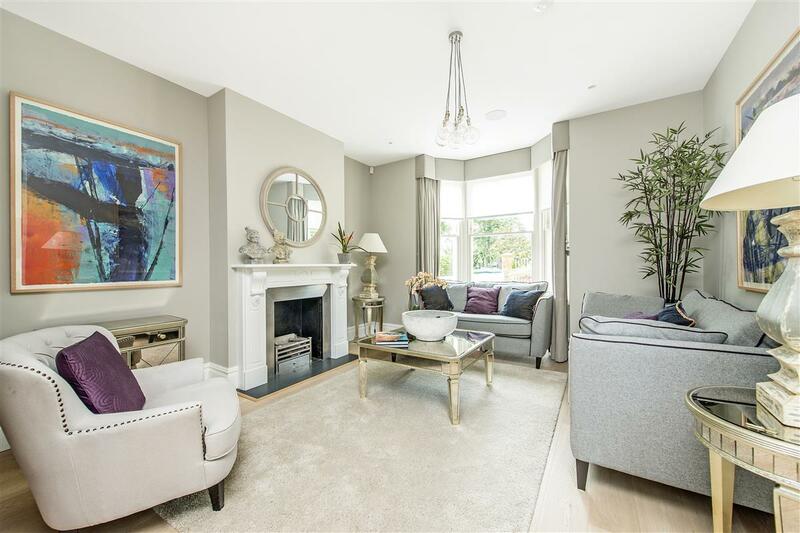 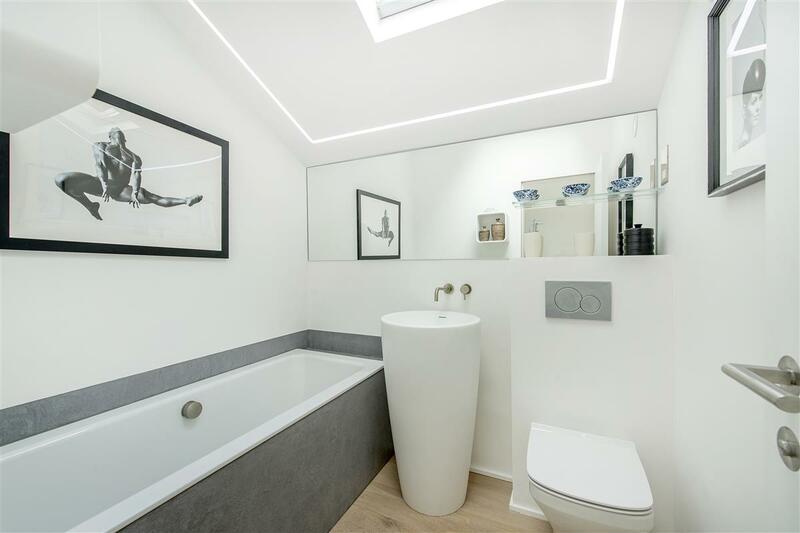 Two double bedrooms with built-in wardrobes and a modern shower room on the second floor complete the stunning family home. 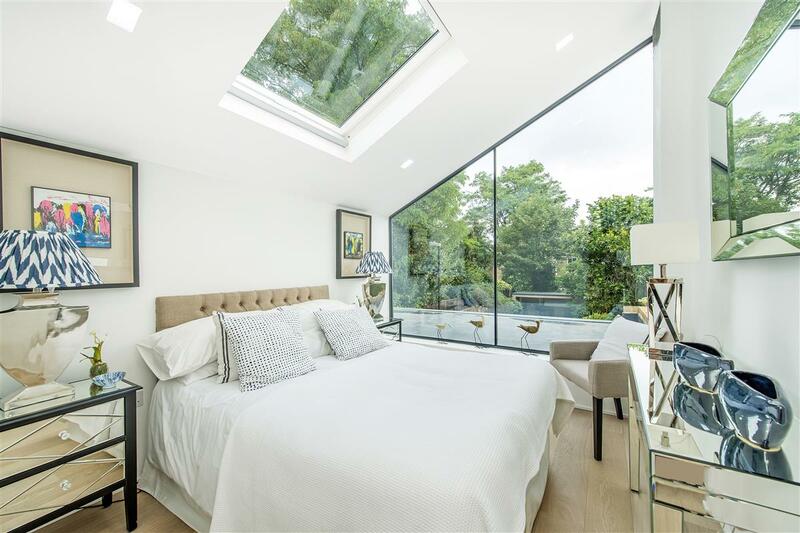 Natural light floods the house from all angles owing to the floor to ceiling glass walls overlooking the private garden as well as the sunny south west facing reception room and master suite. 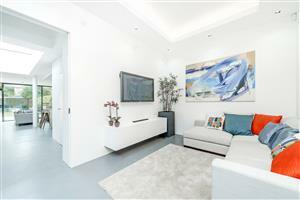 This property offers modern features allowing any owner to customize the settings to their own preferences. 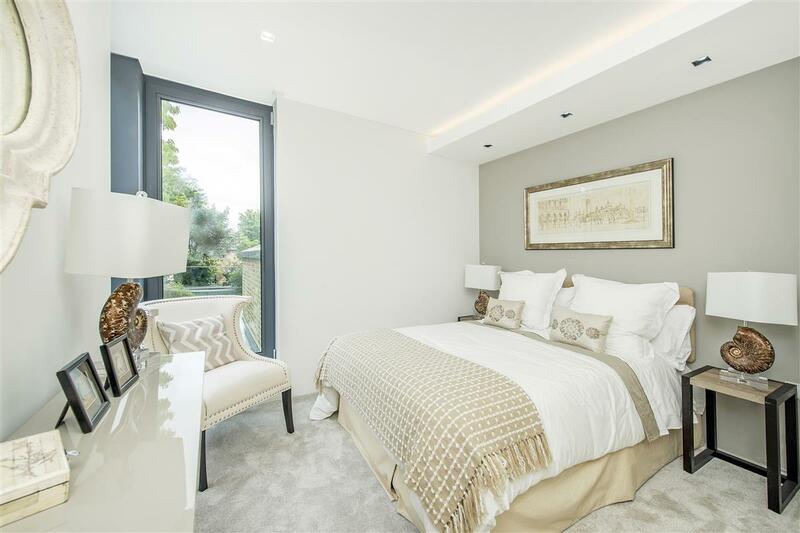 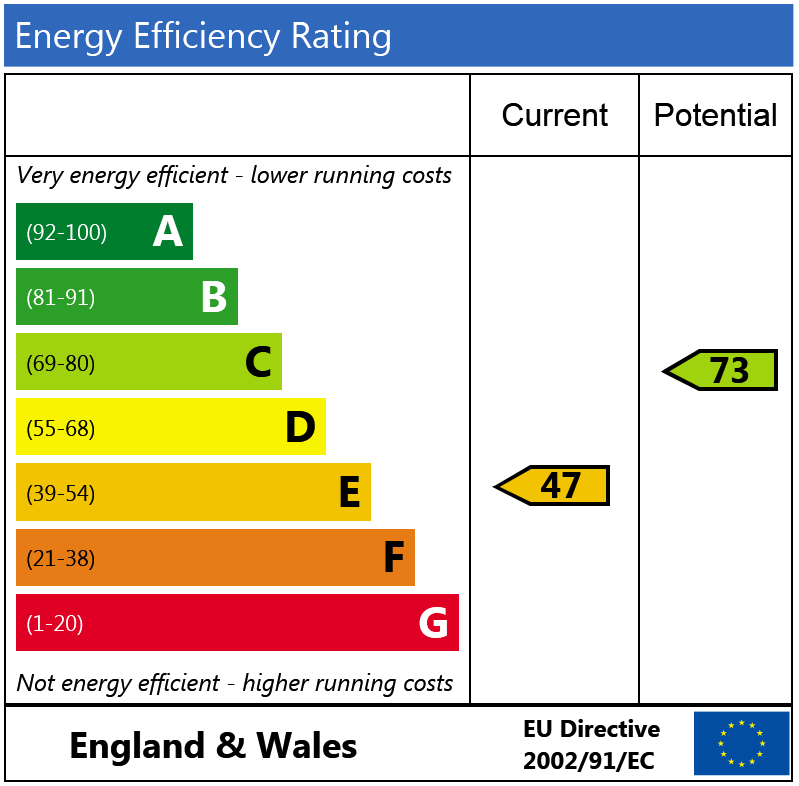 Control 4 home automation lighting, ceiling mounted speakers, underfloor heating throughout, CCTV/video intercom and Cat 6 cabling have all been integrated meticulously.